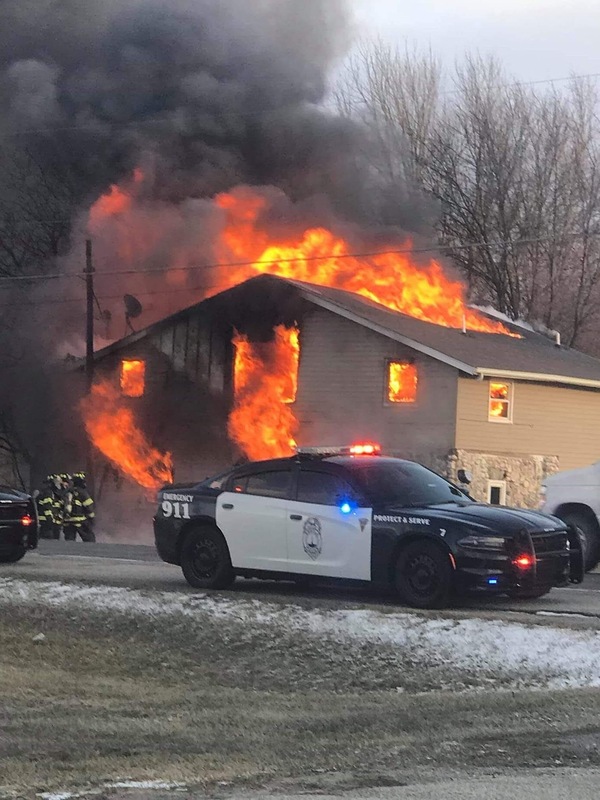 A report from the Angola Fire Department said two people inside were able to escape after passerbys helped them jump off the roof and catch them before fire crews arrived on the scene. First fire crews at the blaze found heavy fire and smoke coming from the second floor of the home. Fire units attempted an offence attack but were driven back by the intense heat from a wind driven fire. Fire crews exited the structure and knocked down the fire from outside and transitioned back inside. Angola fire crews called for assistance from multiple other area departments. It took crews about an hour to get the fire under control. Two people suffered minor injuries. The cause of the fire is under investigation. Other departments assisting the Angola Fire Department at the scene were departments from Salem Center, Steuben Township, Fremont, Orland, Hamilton, Ashley/Hudson, Auburn, and Stroh. The Butler Fire Department was on standby at the Angola Fire Station, while Waterloo was on standby at the Steuben Township Fire Station. In addition agencies including the Steuben County EMS, Steuben County EMA, American Red Cross, Angola City Police, Steuben County Sheriff’s Dept, Indiana State Police, NIPSCO, Steuben County Highway Dept, INDOT and Angola City Street and Water Department provided assistance during the incident. The MSD of Steuben County provided a school bus that served as a warming station. Domino’s Pizza of Angola and McDonald’s at 69 and 20 supplied food for those departments and agencies serving at the scene.